DHL Global Forwarding has announced the launch of a multimodal service linking Japan to its existing rail solution from China to Europe. Using a combination of trucking, sea and rail solutions, the seamless, scheduled service offers customers in Japan access to DGF China’s rail freight solution which reduces the delivery time by up to half to between 10 and 21 days compared to solely using ocean freight and reduces costs by up to 85% compared to airfreight. In addition, customers seeking environmentally friendly solutions can also expect a fall of CO2 emissions of up to 90% compared to airfreight. Businesses in Japan with goods to be transported to Europe can be picked up from anywhere across Japan by truck. Using 40-foot containers, cargo is then transported to any of four ports across Japan – Tokyo, Nagoya, Osaka and Hakata. Upon arrival at the ports, cargo is transported by sea across the East China Sea to Shanghai. This enables goods from just about anywhere in Japan to reach any part of China via DHL’s multimodal sea-rail service. From Europe, the multimodal service is also available via China rail and sea to Japan for the import shipment. Within China, DHL Global Forwarding currently operates two routes: The first along the trans-Siberian North Corridor – the service taps the bustling production and commercial centers of Shanghai, Suzhou and its surrounding areas. The second, the trans-Kazakh West Corridor rail service originates from Chengdu – one of the most important distribution centers in Western China and a hub for high tech goods, automotive and other industries. 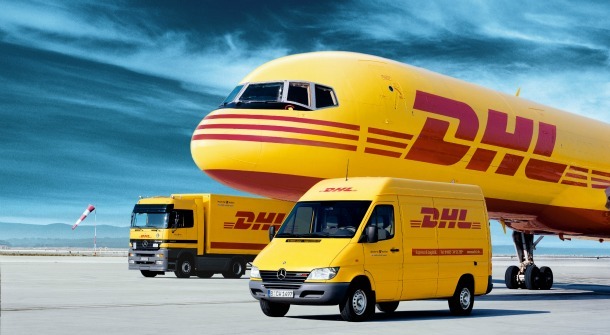 A true door-to-door service, DHL’s multimodal solutions connect China to Europe by picking up goods from any location in China, taking it by rail through to Poland and offering last mile delivery by truck or rail to anywhere in Europe. Only in September, DHL Global Forwarding announced the expansion of the multimodal service by adding Suzhou to the departing points and is now linking Japan via China to Europe. In both Japan and China, the service is available for full-container services, known as DHL Railline, which enables customers to block out single containers, wagon groups or whole block trains. “Since our introduction of the first multimodal service in 2011, DHL Global Forwarding has been a pioneer in introducing new routes for multimodal services to Japan – to offer customers even greater flexibility and choice for their logistics needs. We are seeing a big potential of this innovative service for our customers in all sectors moving goods between Japan and Europe, especially in the electronics, automobile and the fashion and apparel industries,” said Mark Slade, President and Representative Director for DHL Global Forwarding Japan. It should however be noted that the previous year includes pull-forward effects in connection with the Euro 6 emission standard. MAN Latin America’s orders were also down year-on-year in the third quarter of 2014, declining by 26% to €534 million. This was primarily due to the significant deterioration in the market environment and the depreciation of the Brazilian real. In the Commercial Vehicles business area, order intake for the first nine months was 13% lower than in the previous year. By contrast, the order situation was slightly better in the Power Engineering business area, where order intake rose to €2.7 billion in the same period. MAN Diesel & Turbo’s marine business picked up again, lifting order intake by 7% to over €2.4 billion in the first three quarters. At €321 million, Renk did not match the prior-year figure. 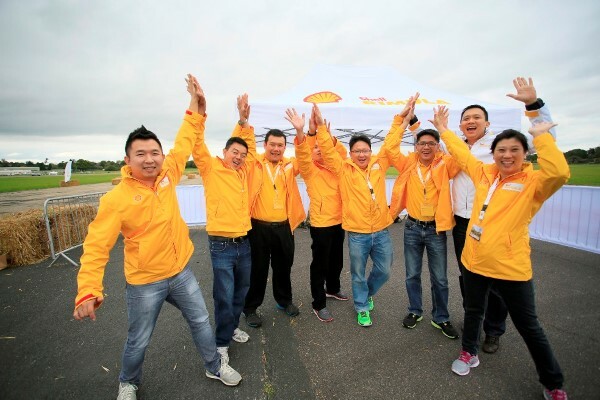 During the final weekend of September, London was host to 13 nationalities, represented by over 140 participants who had travelled to take part in the Shell Rimula Heavyweight Driving Challenge. At the end of the exclusive driving experience, Mao Qinghai from China was crowned the 2014 Shell Rimula Heavyweight Driving World Champion. Malaysia was represented by six participants – Mr Chan Meng Fei, 29 from Alor Setar; Mr Khoo Teik Seng, 39, from Pulau Pinang; Mr Liau Chia Chin, 40, from Miri; Mr Loh Yew Sing 53, from Sandakan; Mr Tan Chin Purn, 27 from Miri; and Mr Tang Chung Lay, 47, from Sibu. They were the Grand Prize winners of the 2014 Shell Rimula ‘Win Your Place in London’ global promotion contest held from April 1 to June 30, 2014 and was open to all customers who purchased a drum or pail of Shell Rimula R4 X, R5 LE or R6 LM heavy-duty diesel engine oil. 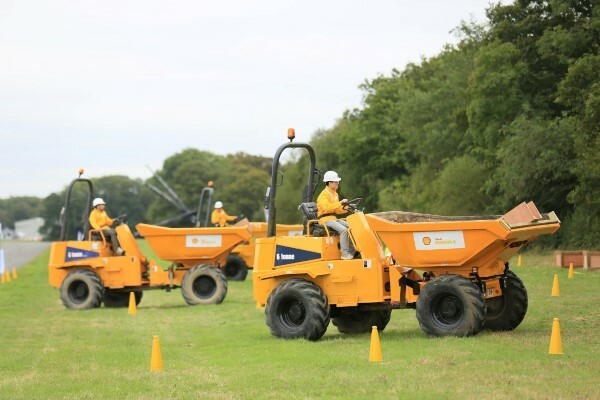 The bespoke Heavyweight Driving Challenge in London was designed by Shell Rimula to let participants from all over the world put heavy-duty vehicles and their driving skills to the ultimate test. 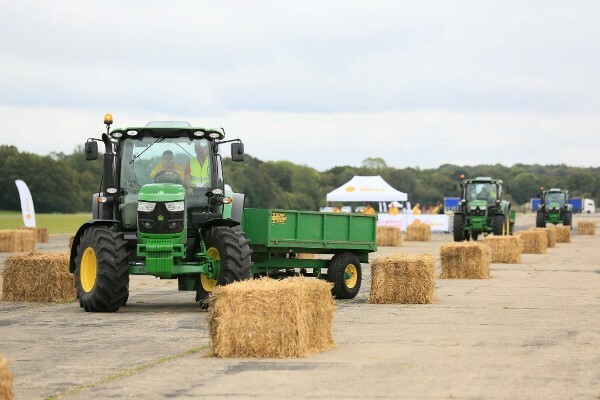 They navigated their way through a series of obstacles and trials with the guidance of expert instructors as they attempted to master driving accuracy, vehicle control and teamwork challenges in a bid to be crowned the Shell Rimula Heavyweight Driving Challenge World Champion. During the challenge, guests experienced the vehicles’ power and gained an appreciation of the demands often placed on heavy-duty engines of tractors, excavators, dumper trucks, loader cranes, forklifts, articulated trucks and telehandlers when operating in real-life conditions – all protected by Shell Rimula heavy duty engine oil. Driver concentration and awareness were also put to the test in a number of precision and finesse driving challenges, as was the ability to work as a team to complete the various tasks. The London adventure was not limited to activities behind the wheel. Guests were based in a luxury central London hotel from which they could explore the famous shopping streets and visit the iconic sights of the historic city. In the evenings they were treated to a little glitz and glamour at an array of exclusive dinners hosted by Shell Rimula. At the finale of the unforgettable trip, the expert instructors revealed the competition winners at a dramatic prize giving where the overall World Champion was announced and the much anticipated winning nation was awarded to Thailand. “It has been a very exciting few days in London and a great opportunity for us to be able to bring our valued Shell Rimula customers together from across the globe for such a unique experience. All of the competitors have been under the guidance of expert instructors and had the opportunity of a lifetime to experience – in such a fun environment – the broad range of heavy-duty vehicles that are protected by Shell Rimula,” said Caroline Missen, General Manager Marketing – Transport & Industry Brands, Shell Lubricants. Mr Lim further pointed out that the combination of technology leadership, innovative products that deliver tangible benefits and strong ground-level interaction that demonstrated empathy with customers have strengthened Shell Rimula’s market leadership position globally and also in Malaysia. Shell Rimula is committed to research and development, investing heavily to ensure its heavy duty engine oils are tested in the world’s hardest working vehicles and driving conditions. It’s these learnings that are then applied to benefit Shell Rimula customers and offer them the most advanced lubricant products available in the world for all heavy-duty vehicles. 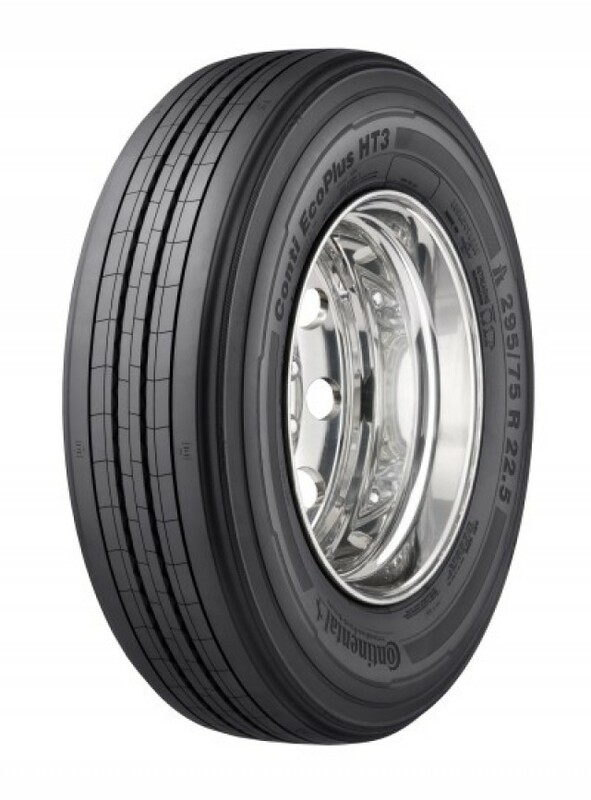 Continental has achieved second place in the environment category of the “Trailer Innovation” awards at IAA, for its new trailer tire Conti EcoPlus HT3. The international industry award was awarded for the seventh time at the 65th International Commercial Vehicle Show in Hanover. The award honors outstanding ideas and new products from the trailer and bodybuilding sectors. Continental, the international tire manufacturer and automotive supplier excelled in the “Environment” category. The prize is awarded every two years by eleven renowned European transport magazines together with the VDA, the German Association of the Automotive Industry. Dr. Marko Multhaupt, head of Sales and Marketing Bus and Truck Tire Replacement Business for Germany, Austria, and Switzerland, sees the award as confirmation of the strategy that Continental is pursuing in developing the Conti EcoPlus tire range. The more demanding the requirements for comfort and efficiency, the more important are advanced transmissions – in passenger cars just as in light commercial vehicles. For this reason, the Italian commercial vehicle manufacturer, Iveco, chose the efficient, dynamic, and comfortable 8-speed automatic transmission (8HP) by ZF to shift gears in the latest generation of its Daily, a light commercial vehicle model with caravan body. The transporter will in future even enhance the characteristics owing to which it was awarded the title “International Van of the Year 2015″ at the end of September 2014. The annual “International Van of the Year” award is conferred by a jury consisting of 23 leading journalists of the major international commercial vehicles trade magazines. Iveco Daily is the 2015 winner. The jury justified their decision by the high efficiency standards offered by the Iveco Daily and its contribution to sustainable goods transport. 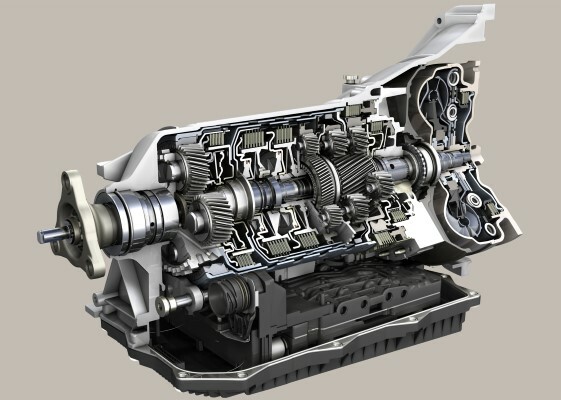 This contribution may even increase in future as ZF’s 8-speed automatic transmission further enhances fuel efficiency and considerably adds to driving comfort at the same time. Thanks to its special characteristics like wide spread of gear ratios, outstanding efficiency, as well as shift times below the human threshold of perception, the ZF 8HP has become the benchmark among passenger car automatic transmissions. Currently, it is used in more than 1 000 vehicle applications – from compact cars to full-size high-end luxury cars and pure sports cars. But Iveco and its new Daily with ZF’s 8HP prove that also completely different vehicle segments can benefit from these advantages. This is the first time an 8-speed automatic transmission is installed ex works in this model. The eight gear steps together with the high spread of gear ratios guarantee that the engine speed and therefore also the fuel consumption stay at a low level. Not least, the 8HP always automatically chooses the right gear ratio to also tackle steep and twisty uphill routes with the vehicle without any problems. Apart from the advantages on the road, there were some more important reasons for Iveco to opt for the advanced automatic transmission by ZF in the new Daily: It can be combined flexibly with all engines for this model – with the diesel and natural gas engines just as with each of the nine different power stages from 106 to 205 hp. The 8HP70 used in the Iveco can cope with very high input torques and is thus suitable in particular for the Daily and its permissible total weight of 7 tons. 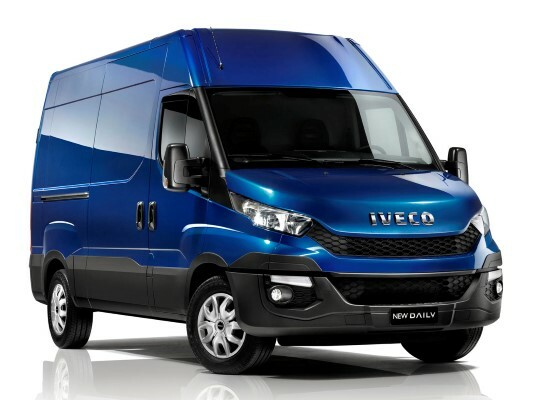 But also drivers who still want to shift gears manually in the new light commercial vehicle by Iveco get sophisticated ZF driveline technology: As a standard, the Daily is produced with the manual 6-speed Ecolite transmission including the corresponding clutch system by the technology company. With regard to the chassis, the successful model is equipped with ZF dampers representing safety and comfort. The steering pump and the steering column, however, are delivered by ZF Lenksysteme GmbH, a 50:50 joint venture of Robert Bosch GmbH and ZF Friedrichshafen AG. 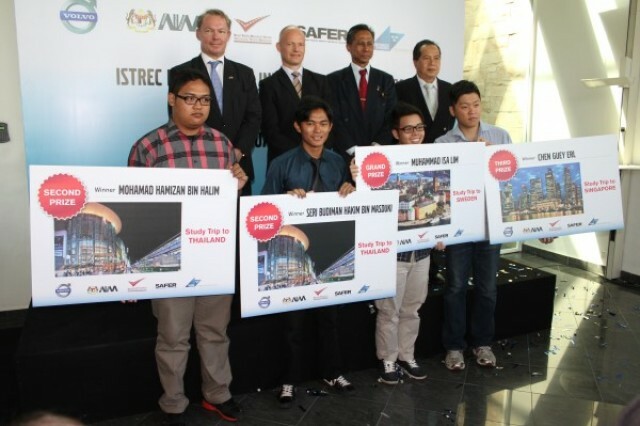 Following his deserving achievement winning the first prize of the iSTREC (Innovative Solutions to Reduce Crashes between Trucks and Motorcycles) Challenge which concluded early this year, Muhammad Isa Lim recently embarked on a unique and all-expense paid study trip to Volvo Trucks in Gothenburg, Sweden. As the iSTREC challenge was very much focused on safety, the 21-year-old student from Universiti Malaysia Sabah embarked on a journey from September 2 to 7, 2014 to the second largest city in Sweden and was exposed to one of the safest countries in the world. “Winning the study trip was exciting, but experiencing it was even more incredible. It was indeed a once-in-a-lifetime opportunity as the unique and eye-opening experience changed my perspective on safety,” said Isa. iSTREC or “Innovative Solutions to Reduce Crashes between Trucks and Motorcycles” is an initiative and collaboration between Volvo Trucks, AIM, UPM, Business Sweden and Vehicle and Traffic Safety Centre of Sweden (SAFER). Officially formed in January last year, the mandate of iSTREC is to collaborate, seek and recommend solutions to reduce crashes and casualties between trucks and motorcyclists in Malaysia. Outshining over 700 entries nationwide, Muhammad Isa Lim’s video presentation entry entitled “Highway travel time policy” looks at a solution from a policy angle – winning him the coveted prize of an all-expense paid study trip to Sweden. His winning idea proposed that in order to decrease the frequency of clashes between trucks and motorcycles, a policy must be drafted and enforced to separate the two types of vehicles traveling, specifically on highways. Using a combination of existing tracking technology via GPS/toll system and tax incentives, truck companies can be encouraged to move their fleet at night, when there are far fewer motorcyclists traveling on the road. Truckers that travel during the day will have to pay higher toll rates compared to travelling at night, and will need to pay premium road tax. “We underlined our commitment to safety by building safer vehicles as well as encourage safe driving behaviour among the public. We are pleased that we are able inculcate a sense of ownership amongst students on social issues and empowering them to take action for improvement. We are glad that our student winner took home important key learnings and we look forward to meeting more bright talents like him,” said Mats Nilsson, Managing Director of Volvo Malaysia. Suzuki announced that the all-new Vitara is a whole new compact SUV, which has evolved in every aspect such as driving, safety, and environmental performances, and design, while inheriting qualification as genuine four-wheel-drive vehicle and SUV derived from the Jimny, Vitara, and the Grand Vitara. It has not only pursued excellent driving performance, but has been developed as a car that can reflect the user’s lifestyle. 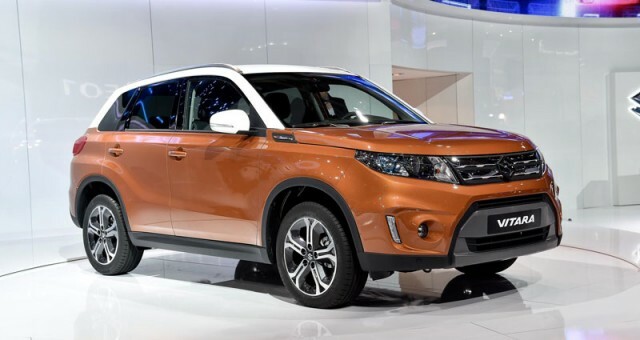 At the press conference held on 2 October, Executive Vice President Toshihiro Suzuki said, “Suzuki had introduced the new and GRAND VITARA as the pioneer of the compact SUV. We believe that the new Vitara will be able to attract a lot of new customers. The all-new SUV VITARA will be produced at Magyar Suzuki Corporation, Suzuki’s Hungarian subsidiary, from early 2015, and will be supplied throughout Europe. Fiat Professional has been named “Van Fleet Manufacturer of the Year” in Britain at the prestigious Fleet Van Awards 2014, a significant accomplishment that not only highlights the great appeal of the Fiat Professional range’s versatility but also recognises the efforts of the brand to continually enhance the scope and quality of services it offers to all of its fleet customers in the UK. 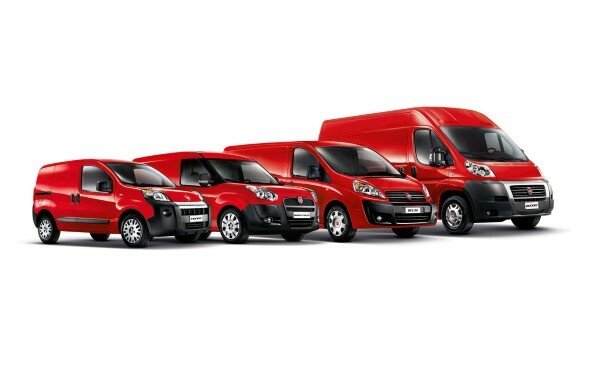 Now in its seventh year, the prestigious annual “Fleet Van Awards” recognise the accomplishments of vehicle manufacturers, fleet operators and suppliers through a judging panel of international experts, including members of the Fleet News/Fleet Van editorial team. The prestigious “Fleet Van Awards 2014″ received by Fiat Professional join another two important awards won recently by the brand in Britain. 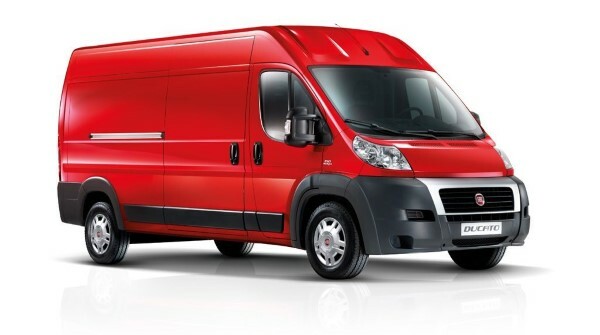 In July, the Fiat Doblò Cargo was named “Fleet Van Of The Year 2014″ by the panel of the “Motor Transport Awards 2014″, the most important recognition in the category of road-transport vehicles, while the Fiat Fiorino, for the third year running, was named “Best Light Van 2014″ in the “Van Fleet World Honours 2014″. Mercedes-Benz is presenting an attention-grabbing marketing campaign on all channels to support the international market launch of the new Vito. In addition to print ads, moving images play a key role in the campaign. For example, a Web video enables viewers to interactively experience the van’s key features. Moreover, several TV commercials are devoted to specific marketing topics. All of the measures aim to make the new Vito better known and to effectively communicate its claim to technology leadership. All of the video clips can be viewed at the Mercedes-Benz Vans YouTube brand channel at www.new-vito.com. The new Vito is the versatile professional among mid-size vans weighing between 2.5 and 3.2 t GVW and boasting the highest levels of quality, safety, and economy. The new Vito is the first vehicle in the Mercedes-Benz product range to offer a choice of rear-wheel, all-wheel or – in a new development – front-wheel drive systems. The new generation of the vehicle consumes 20 percent less fuel on average than its predecessor. When fitted with the BlueEFFICIENCY package, standard fuel consumption can be as low as 5.7 l, which none of the van’s competitors can outdo. Mitsubishi Fuso Truck and Bus Corporation (MFTBC) and Nissan Motor Co., Ltd. (Nissan) today announced they have signed a contract for OEM (Original Equipment Manufacturer) supply of finished commercial vans for export. 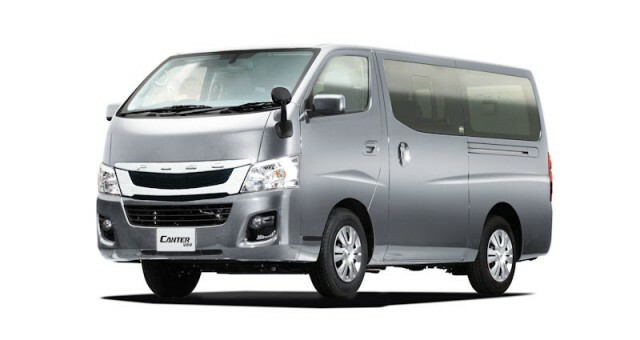 Under the contract, Nissan will supply its “NV350 URVAN” (GVW: 3.5 tons) commercial van to be sold by Mitsubishi Fuso as “Canter Van” in the Middle East starting in 2014. Today’s final contract comes after the two companies’ signing of a basic agreement in September 11, 2013, and is based on the strategic partnership between Daimler AG and Renault-Nissan Alliance announced on April 7, 2010. MFTBC and Nissan are already running a strategic OEM supply which includes Mitsubishi Fuso’s supply of its light-duty truck platform (payload: 2.0 tons) to Nissan and Nissan’s supply of its light-duty truck platform (payload 1.5 tons) to Mitsubishi Fuso, both supplies relevant for sale in Japan.